'The Real': #SquadGoals: Adrienne, Vanessa Simmons & Lindsay Lohan? On ‘The Real’: #SquadGoals: Adrienne Houghton, Vanessa Simmons & Lindsay Lohan? + The Ladies Dab One Last Time! Would you ever share your hair? 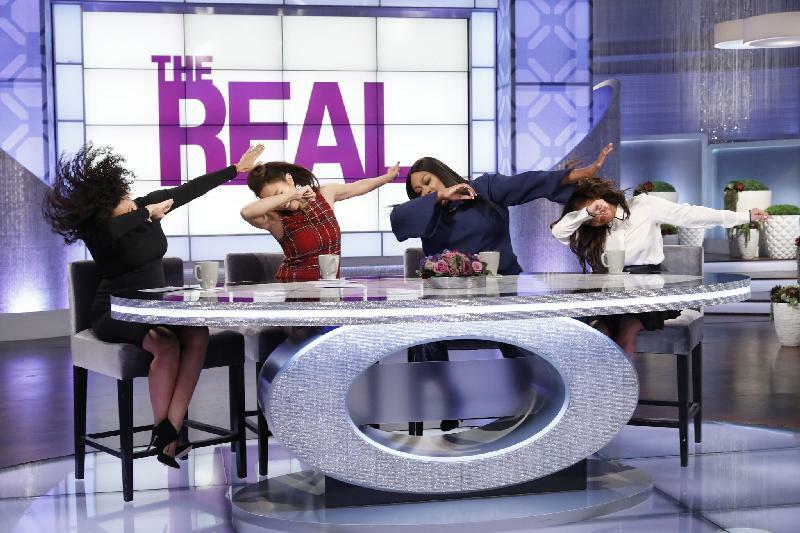 Well, on Wednesday, January 18, “The Real” hosts discuss celebrity wig swapping, and also invite viewers to finally retire the dab! #SquadGoals: Adrienne Houghton, Vanessa Simmons & Lindsay Lohan? Vanessa Simmons: Oh my God! Adrienne: We used to be in these streets of Hollywood, we would have so much fun. What do you remember from those days? Vanessa: Well Adrienne, you actually gave me my first Hollywood experience. The first year I moved out here to do kind of do my test trial run in Hollywood. I met Adrienne through a mutual friend and she took me out to Hollywood, we went to this club on Hollywood Boulevard and I went home and I was like, “Dad, Hollywood is it.” I have to go back! Adrienne: We had so much fun. We had like a little clique of girlfriends, we would do everything together. We were at each other’s houses all the time, we had so much fun. Vanessa: It was so much fun, it was the best of time. Adrienne: A little rat pack. Adrienne: It was good times, Lindsay Lohan hanging out with us! Adrienne: It was a lot. Please include tune-in when posting clips — January 18th on The Real — check local listings.